New to me Solway zipper getting the hot wax treatment, it's from the 1980s (2 Royal crests) and has hardly been worn. Thanks to this sub for inspiring my first Barbour purchase. Classic bedale just came in from End. Great choice! Looks good with dark denim and brogues. I have a BI jacket with beeswax. It has a dusty blotchy white cast appearance after exposure to rain and looks disheveled. How can I improve its appearance? 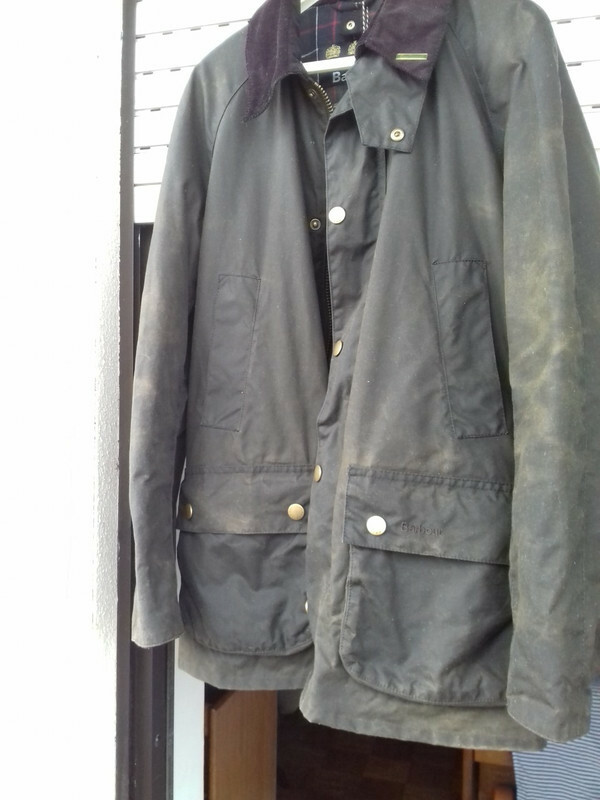 Well, these last few days here have been strict and a lot of rain, especially yesterday, I used my barbour to keep me dry, but the jacket got soaked. 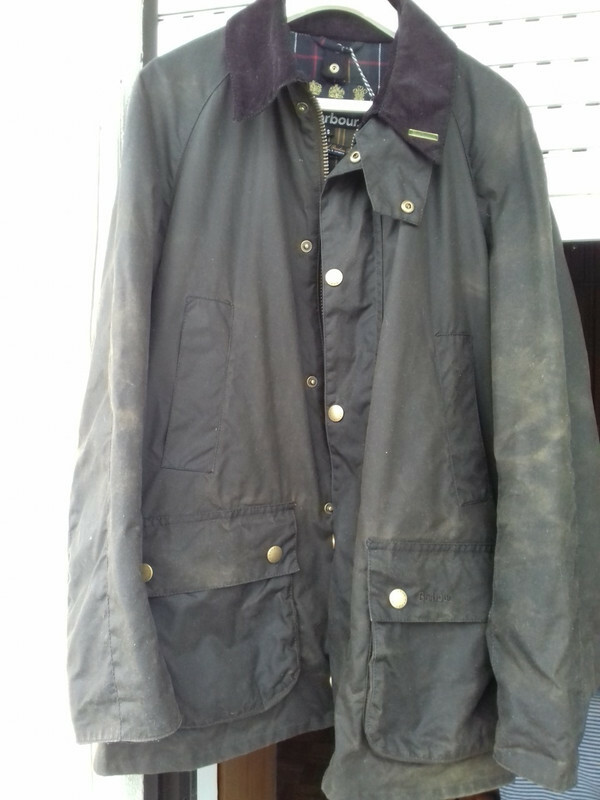 This morning I wake up and see my Barbour very modified.. :\ I think it was his wax that came out, right? But only with a day or two of rain..? I may have been wrong to let it dry in the open, I should have at least removed excess water. It’s fine, just natural wear. Yes, but until yesterday he was even better, like new. The rainwater wore his wax a lot.. This morning when I looked at him I was worried. What calmed me down is knowing what to solve with a re-wax.. I wouldn’t worry, man. It’s meant to be like that. Did the scarf arrive yet? Yeah, personally I like them more when they start to get a bit of wear and tear. My Beaufort looks a bit daft atm tho, since I bought a brand new hood for it. Just be my first wax jacket, but I'll get used to it quickly. the ascarf arrived well, and to tell you the truth, I have used it every day along with the coat. Super strict winter is here in Lisbon, Portugal. no more, the hood is missing me, and I'm going to buy one, it's going to look strange too, so you're not the only one. Soon you'll be like the rest of us, you buy a new one and drag it along the road to get it beaten! Enjoy it, it served me well.